The BBC have announced that and final series of charming comedy Detectorists will film this summer. 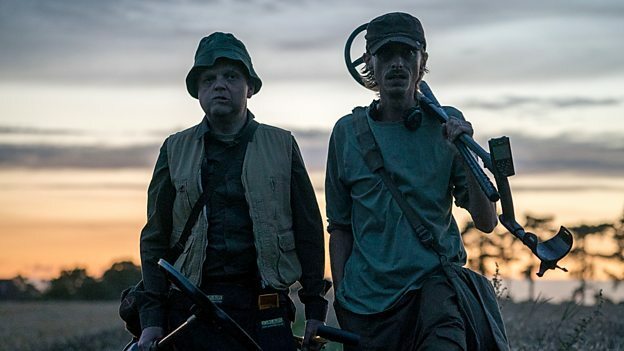 Written, directed and starring Mackenzie Crook, The BBC Four series will see the return of Andy (Crook) and Lance (Toby Jones) as they arm themselves with their metal detectors once more in a bid to strike gold. Also returning is Rachael Stirling as Becky, Andy’s wife, the forthcoming series follows the Christmas Special that saw Lance battling the ‘curse of the gold’ after finding his Anglo-Saxon treasure, and Andy and Becky made the move to Botswana with their son Stan, for an African adventure of teaching and archaeological digs. Cassian Harrison, Controller, BBC Four, says: "The Detectorists has been one of my personal TV highlights of the last few years, and I’m simply delighted to welcome Mackenzie, Toby, Rachel, and all the detecting team back to the BBC Four abode once again - but could they just hang on while I pop out for a quick carry-out of best Somerset cider?"